Skip the take-out and join our New Year 30 day challenge! Take the next 30 days and reboot your health and wellbeing with the Got2Eat 30-Day Clean Eating Challenge! Start by spending 30 days steering clear of prepackaged and processed foods with ingredients you can’t pronounce. Rid your diet of refined sugars and flours. Eat whole, clean meals that will fuel your body and leave you feeling energized and sustained. 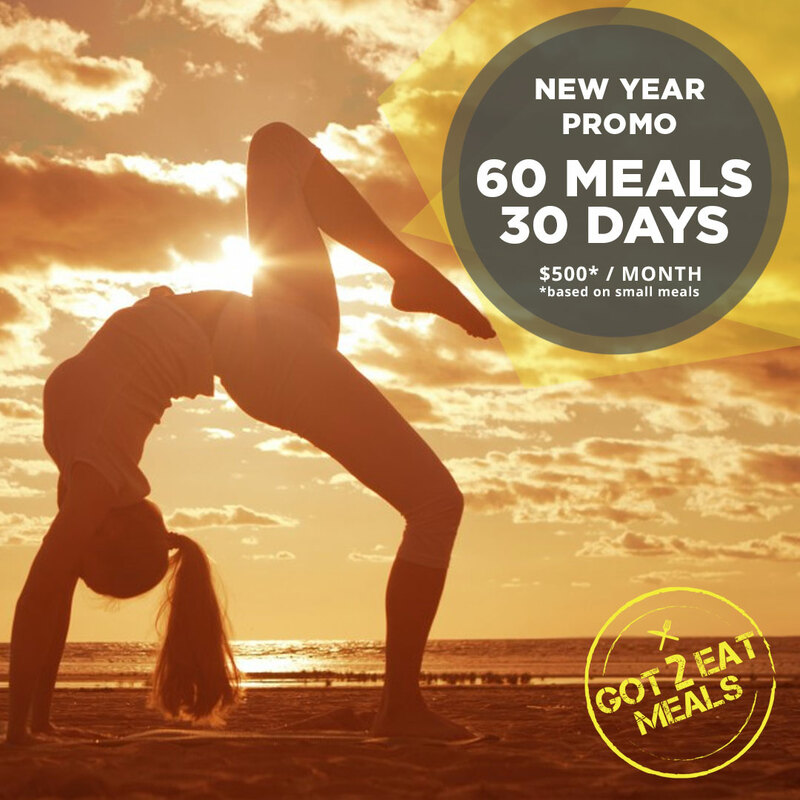 For the month of January we are offering a special package of 60 meals for $500 (based on small meals). WHY JOIN OUR 30 DAY CHALLENGE? REACH YOUR GOALS – Eat a well balanced diet full of protein, fat and carbs (optional – keto and low carb available by request) to target your goals! Special pricing only available for the month of January – You pick your start date! Any time is the right time to kick start your clean eating lifestyle.